CELEBRATE VALENTINES DAY THE RIGHT WAY! Self love is where it all begins. Get ready to experience sisterhood, sweets and treats, food, self love convos, music, games, & GIVEAWAYS! 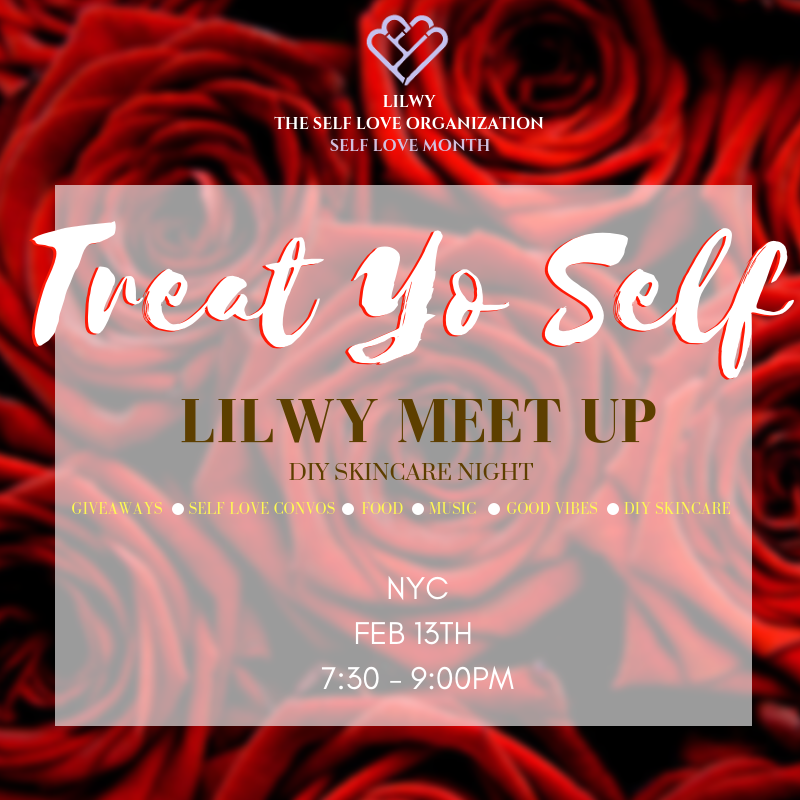 The day before valentines day, we are celebrating self love & we are excited to see you! What does LILWY Meet ups look like? Come take a peek!